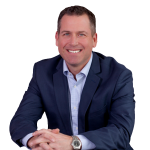 Scott is a RE/MAX Hall of Fame, Platinum Award winning Realtor with RE/MAX Kelowna. A seasoned entrepreneur with a 32 year track record in business start-ups and investing in real estate. Scott is also a Master Certified Negotiation Expert (MCNE) from the Real Estate Negotiation Institute. In addition, Scott’s entrepreneurial appetite coupled with a background in finance and marketing proves that Scott’s “Make it Happen” attitude is what makes Scott stand out. Scott’s first company was established at the age of 16 where he managed multi-million dollar private/executive aircraft. At age 22 his desire to invest in real estate began. Investments include both single family and multi-family apartment’s buildings. Prior to becoming a Realtor, Scott was a Mortgage Specialist with TD Canada Trust. What satisfies Scott is knowing that he has done an extraordinary job helping people through complicated and potentially stressful transactions. Scott really cares about the success of his clients and is DEDICATED TO EXCEEDING HIS CLIENT'S EXPECTATIONS! Scott is also the recipient of the 2015 Central Okanagan's Realtor Care Award..